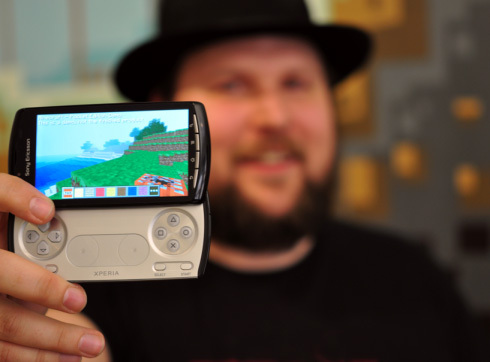 Ahead of the event E3 gaming expo, Sony finally adds the total to 24 games in the list of game specially optimized for Android handsets are emang made ​​for gamers: Sony Ericsson Xperia Play. List this game includes 10 titles that will be exclusive to the device, including Minecraft, Battlefield Bad Company 2, Tom Clancy's Rainbow Six Shadow Vanguard, Desert Winds, Ruined, Icebreaker, Sleepy Jack, Cracking Sands, Armageddon Squadron 2, and a fighting game that is not anonymity of Khaeon Gamestudio. In addition to a number of exclusive games for smartphone Xperia Play, Sony Ericcsson also announced several game titles that will be available for other Android handsets. Games to come including Gameloft Eternal Legacy, Dungeon Hunter 2, and Order & Chaos; Spacetime Studios' Pocket Star Legends and Legends: The Black Star Chronicles, and Gamelab's DARK, etc.. Many new games will be demonstrated next week at E3. Launch dates and prices will vary by title.